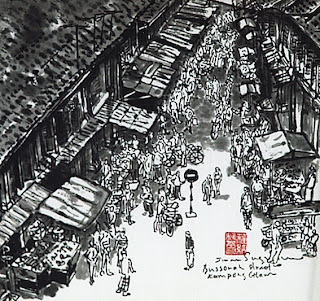 Maya Gallery: "Chinese ink is my mistress." "Chinese ink is my mistress." He has been with her for almost 14 years. He plays and sleeps with her, and explores her inner beauty. He is still fascinated by her strength yet softness, fluidity yet stubborness. Well, that is how Sunar Sugiyou describes his mistress – the Chinese ink brush. The delicate medium of Chinese ink has been around for centuries in China. 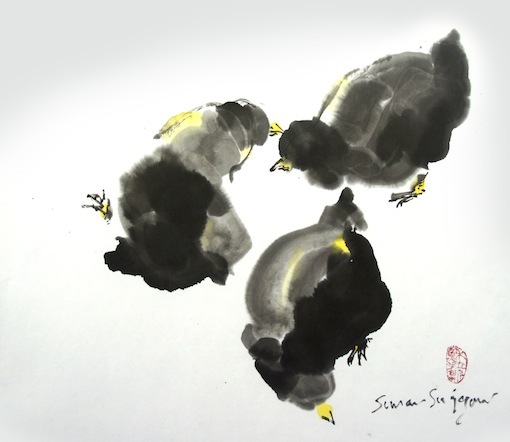 Initially developed and used only by the literati in China, Chinese ink is now used by many, including the non-Chinese, in the creation of many genres of work, from traditional landscapes to abstract art. Chinese ink paintings do not necessarily come in black and white, now with the mixing of colours and dyes to achieve a coloured art piece. Artists will usually use an array of brushes, and prepare bowls of water, before they start painting onto delicate Japanese silk paper. A pioneer design graduate of LaSalle College of the Arts (then St Patrick's Art Centre), Sunar Sugiyou started painting as a teenager. A talented designer in fashion, interior and graphics, it was during his studies at LaSalle which spurred his interest in fine art to another level. Not before long, he started participating in art exhibitions, even being highly commended at a couple of international art awards. His early works were in acrylic and mixed media on canvas, and usually trying to express his take on social norms. 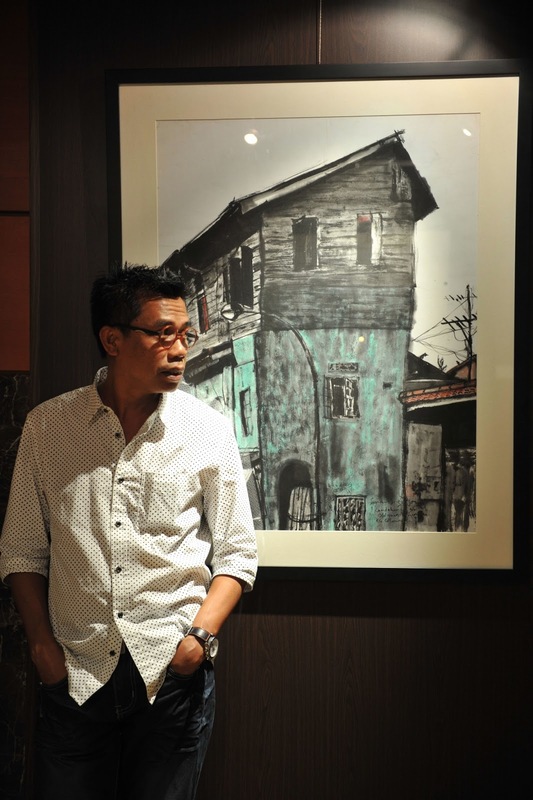 Being of Javanese origin, though born, bred and schooled in Singapore, Sunar's paintings would also include Javanese influences like the wayang, silat, and the Ramayana, as well as Malay cultural issues. Sunar started painting in Chinese ink in 2000, developing a wide body of work covering cultures, festivals, social mores, landscapes and many more. In the Year of the Rooster in 2006, he created the "Jagoh" or Hero series, with the rooster as his main subject. This series was a hit, having sold almost 100% of the works created! This year, at the age of 51, Sunar Sugiyou holds his third solo exhibition in 3 decades, entitled "Home". His last solo was in 2005. Showing 30 recent works in Chinese ink, Sunar depicts scenes of old Singapore based on references and his own memories. His "Jagoh" series also makes a comeback, like the artist, with a revival – it now includes the Loving Dad, Loving Mum, Chicks, My Siblings and Family series. Despite being self-taught in the Chinese ink, medium, his technique has been described to be of an advanced level for a non-Chinese artist. Beyond technique, Sunar's story is about hope and determination, and his progress as an artist in Singapore. 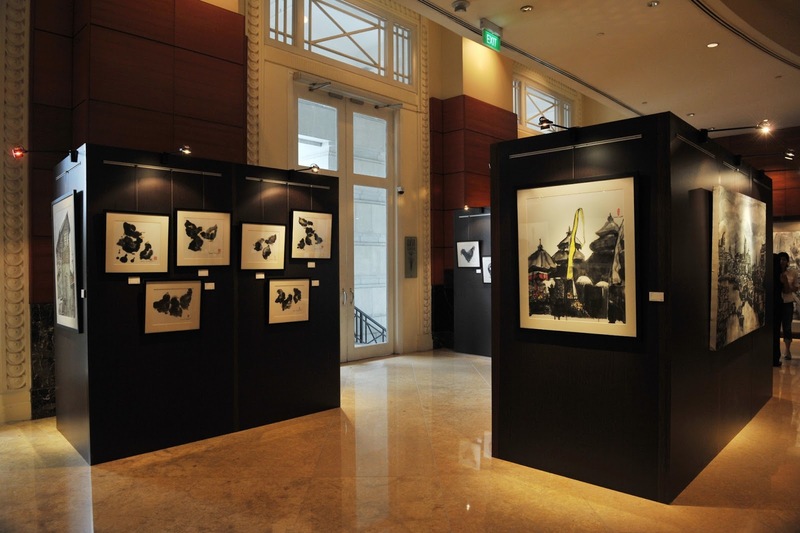 Knowing how tough it could be in difficult times, Sunar will contribute part of the proceeds from the sale of artworks at "Home" to the Singapore General Hospital (SGH) Needy Patients Fund for those who fall through the cracks. Why is "Home" a must see? Besides the fact that it is held at the beautiful and historic Fullerton Hotel, which once housed the General Post Office, this is an exhibition featuring our local talent. 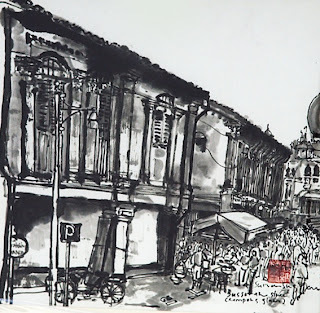 Being a Malay of Javanese heritage and using a Chinese medium, it reflects the diversity of Singaporeans, and of leaving the comfort zone to explore a different culture and learning new ways of doing things. 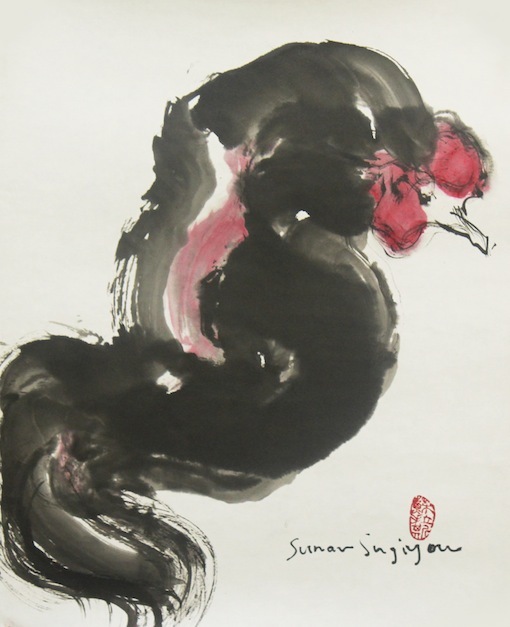 Sunar may not be the only non-Chinese artist to have mastered to a certain extent, an ancient Chinese medium, but his delicate, yet unassuming strokes are definitely worth looking at. 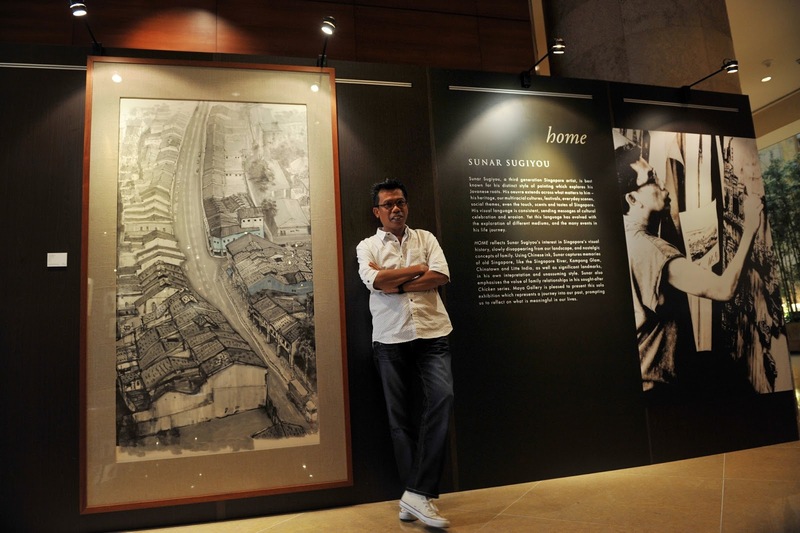 The exhibition runs until 12 September 2013. For further details, please email to event@mayagallery.com.sg.